Any plans for KDE Edition Minimal? Very nice & educational HowTo, especially about the use of extra & basic tags (for those who ask for minimal/basic isos from time to time) & also for the very useful -c buildiso option well detailed for cosmetic changes when desired packages list is Ok .
Imho & explained as in video, this is as easy to use (probably not much longer & especially reusable on different machines once done !) as the M-A install way to achieve the same result ! Once again, well done (chief) ! Ps: Nothing about pure 64 bits …? Just did this and it preserved nearly all of my settings and s/c wonderful! @Ste74: I don’t had time lately to test the git version. Which branch was used for it and can you point me to the changes made? Cloned the iso-profile folder & started to have a look around while it I was watching the video. On the video in xfce/live-overlay/root/ there is a .config folder. In the one I cloned (downloaded) the root folder is empty. Did I mess up or is that folder missing files? IGNORE all that, well, except the last line, I unhid the folder. It was there taunting me all this time. OK. This is doing my head in. I’ve installed manjaro-tools-iso & manjaro-tools-pkg. I’m up to the 8 1/2 minute mark in the video & am completely lost. I miss the copy and paste area in this post. 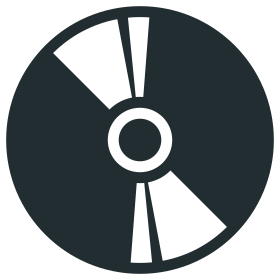 xorriso 1.5.0 : RockRidge filesystem manipulator, libburnia project. Writing to 'stdio:/var/cache/manjaro-tools/iso/manjaro/xfce/18.0.0/manjaro-xfce-18.0.0-stable-minimal-x86_64.iso' completed successfully. But what if I wanted an “already installed ready to go” image? This would be pretty important whenever I’ll find the time for the PS4 build. I guess buildiso -x would still, say, separate mhwd from rootfs? What is the limit of iso size can I make an iso of size more than 5gb?? If I understand what you’re asking for (PS4 ? ), it’s doable. You must make the list of packages (Packages-Desktop) in manjaro-tools for your DE match the existing installation if you have modified lot of things (mousepad instead of leafpad, chromium instead of FF & so on for all the stuff, in example). & that’sall, you can run buildiso! And that would make a single one squashfs image that I could throw into an usb key and use “permanently”? O_ops, i began with quote above & so, i certainly misunderstood what you were asking for (english’s not my native blahblah…) & sorry for the late answer too ! I was trying above to show how to build an iso based on a very modified installation (packages & config) compared to the official one. Lol, your english is better than mine and I’m a native speaker! I had simillar issue with that. But you can always copy it to “~/.config/manjaro-tools/” when it will override the default. OK. This is doing my head in. I’ve installed manjaro-tools-iso & manjaro-tools-pkg . Going into my home folder I cannot see the folder Manjaro-Tools anywhere. I rebooted just in case. I even searched the entire drive. It ain’t there. You have to git clone https://blabla like described in the video* for having it directly in your home. Ps: sorry for late answer, i didn’t see your post in time ! Last command will create the folder ~/.config/manjaro-tools/ in which you may edit the configuration as needed.